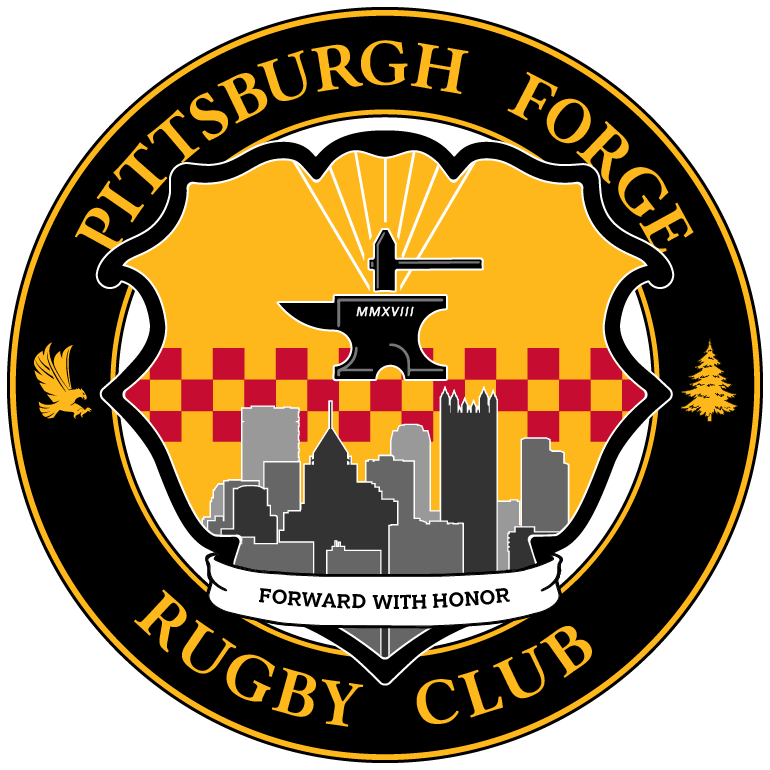 PITTSBURGH, PA – After performing well enough to win all three games on the road, the Forge D2 Men ended their road trip with a disappointing 1 – 2 record, earning nine of an available fifteen league points over those three weeks. 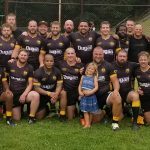 While happy to be at home, they would be hosting a very tough and talented Buffalo squad, a team who has been on the top of the Great Lakes table for the past three years. The Forge knew that securing a win at home against the Bison would be no easy task. Things started well for the Forge, much like most of their games on the road, with a quick score from talented forward Tony Cardamone (SRU). 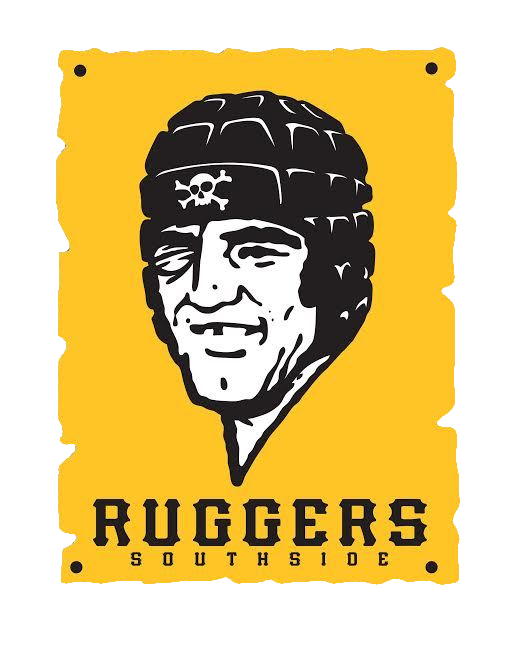 Scrummy and captain Rous Kluever (PITT) would hit the conversion kick and the Forge were off to a quick 7 – 0 lead just two minutes into the game. After an infraction deep within their zone, Buffalo would concede a penalty kick to Kluever and the Forge at the eight minute mark and things were looking good for the Forge. Then that streak of bad luck, which plagued the Forge during the three game road trip, seemed to creep into the match. At eleven minutes, a failed pass interception by fullback Billy Gordon (Villanova) gave the Buffalo wing another room to score on the outside and cut the lead to three after the conversion. Just ten minutes later, the Buffalo fullback would make the most of a Forge giveaway and give the Bison the lead after an unconverted try. 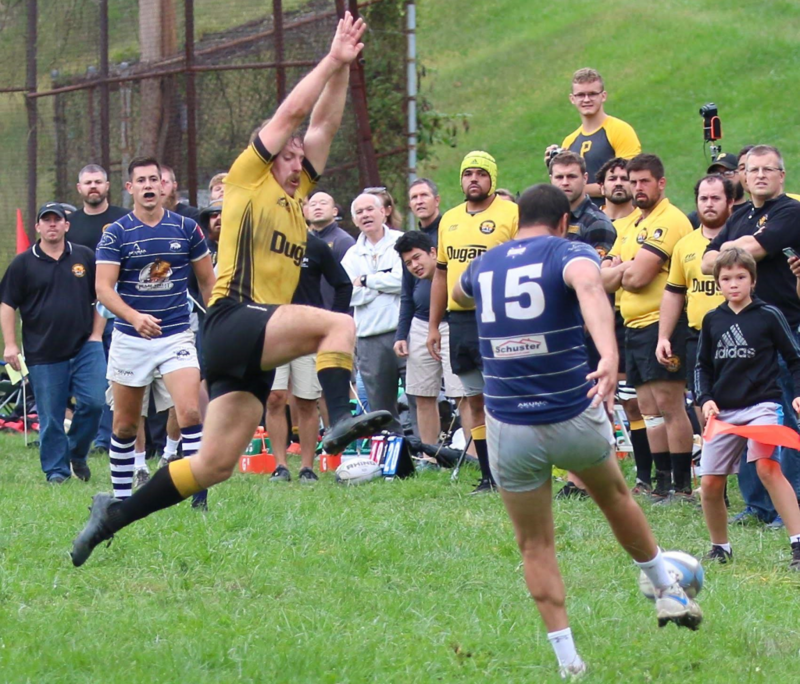 Then, perhaps the most deflating, an intercepted pass between the back three of the Forge by the Buffalo winger allowed him to jog into the try-zone and give the Bison a commanding 19 – 10 lead near the end of the half. Three consecutive opponent scores, all gift wrapped to them by the Forge was deflating, but none so more than what would happen at the conclusion of the first half. With little time remaining in the first half, the Forge gained a little momentum back with nice carries from winger Julyan Jenkins, Kluever and Billy Gordon. The progress put them deep into Buffalo territory with an opportunity to cut the lead to four or even two with a conversion. The Forge had a majority of the Buffalo defense sucked into the breakdown and looked to get the ball out wide with a clear overload near the goal line. Front Row Jeff Muha passed the ball out the flyhalf and Club President, Neil Reynolds (UPJ) who made a great play to field to bouncing ball off the ground. Even though Neil had players outside of him, the clean-up play forced him to keep the ball himself and make dive for the try-zone. Unfortunately, the Buffalo defender attacked at Reynolds by sliding down with both knees rather than attempting to tackle him. The collision knocked Reynolds unconscious, severely cutting his ear and causing him to knock the ball into the try-zone. No penalty or penalty try was award and play continued for a few minutes while Reynolds remained motionless on the field. After the play had stopped, Reynolds was treated on the field as the referee called for half as the crowd and his Forge teammates remained silent and stunned.  After a few minutes of being treated by renowned team doctor, Dr. Sam Akhaven and the superb training staff at sponsor East Suburban Sports Medicine Center, Reynolds was able to come off the field under his own power before being taken to the hospital to be treated for his injuries. At the break, Coach Walsh worked hard to regain the focus of his rattled squad, challenging them to will their way through the bad luck of the first half. 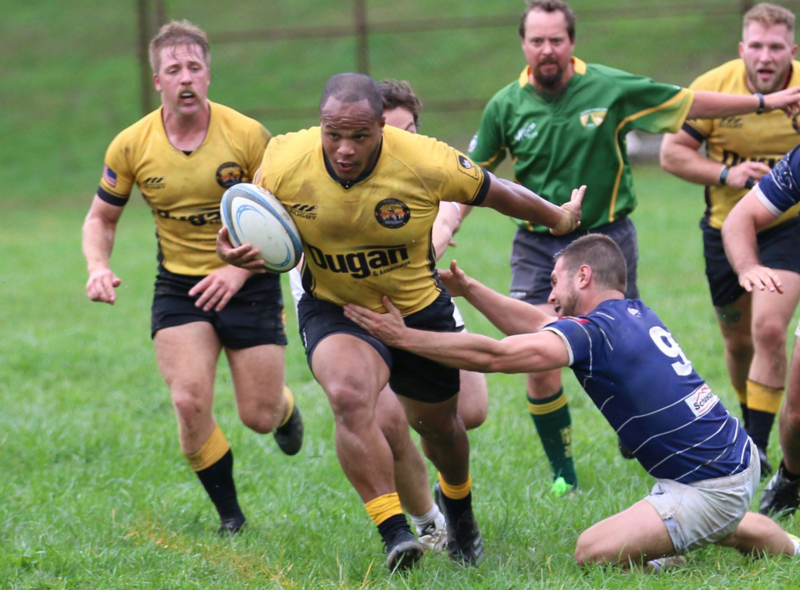 Talented center and Reynolds’ long time teammate with UPJ and the Highlanders, Patrick Dobbins, was brought in to replace him and Tyree Massie (Cal U), playing outside center today, was moved back to flyhalf to begin the second half. At the whistle to begin the second half, the Forge were determined to win this game for themselves, their coach, their president and the fans that came out to support their club. 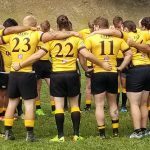 It took Captain Rous Kluever just eight minutes to turn the tide of the game when he found a crack in the Buffalo defense and streaked toward the try-zone for his sixth try of the season. 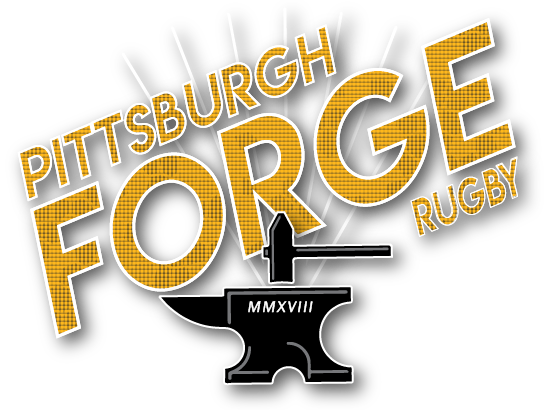 After the failed kick, the score was 19 – 15, but the Forge were on a roll. After the restart, the Forge would attack again and push the Bison deep into their own zone. 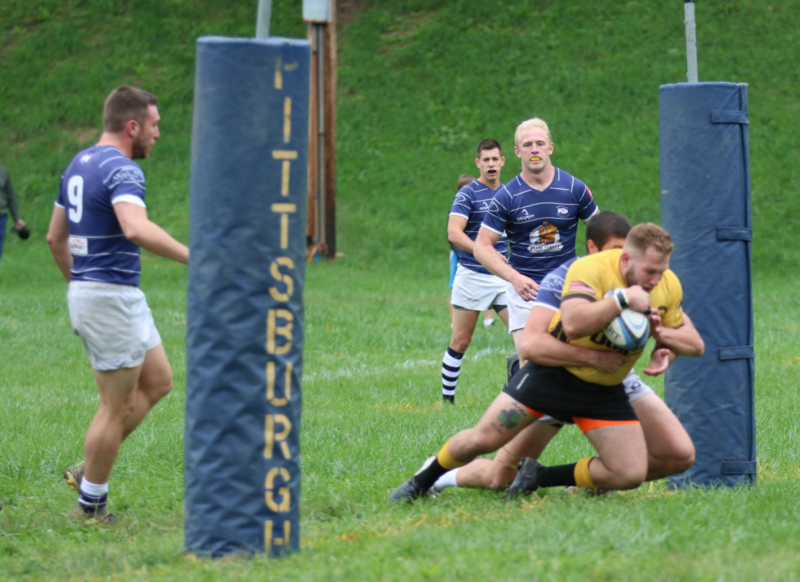 After a few set piece restarts, the Forge were able to get the ball out wide and spring winger Tony Wilson (Woodland Hills) for his first try at the D2 level, second on the season, and give the Forge their first lead since the twelve minute mark, 20 – 19. After a yellow card for cynical play at sixty minutes, the Forge would keep pressure on by adding some fresh legs. Winger Eric David and forward Kyle Franklin (UIC) would come on for Jenkins and Frank Cacciotti (Geneva), respectively, and the Forge would battle deep into Buffalo territory once again. Tyree Massie would make a nice move and offload to put Stephan Patterson (PITT) through a hole and after the conversion, the Forge lead was up to eight. It was Patterson’s first try at the D2 level, but seventh on the season as he had been a standout at D3 all year. Massie wouldn’t be done, however. Just a few minutes later, he would set up his second consecutive try in equally brilliant fashion, this time making space for Billy Gordon to blow the game open. After the Kluever conversion, the score now read: 34 – 19. Massie would then exit the game after playing magnificently in the second half for Trevor Keough. The performance earned him the Man of the Match node from his teammates. In addition to Massie coming off, Cody Fulton (Harrisburg) would also get a spell for Andrew Knuttel (PITT) off the bench. The Bison would add one more try in the seventy-first to draw the game a little close, but the match was never in doubt during the second half. 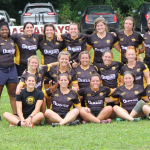 Knuttel would miss a penalty kick to end the game; the score at the final whistle Forge 34 – Buffalo 24 at full time.